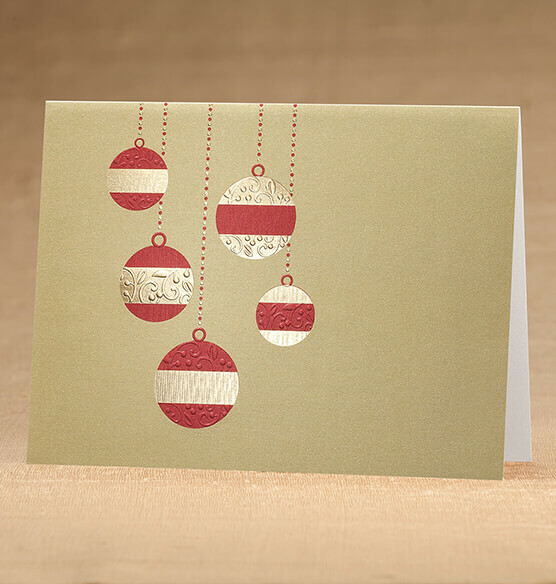 The stylized holiday ornaments in this Golden Cascade Ornaments card bring an updated twist to a traditional holiday motif. 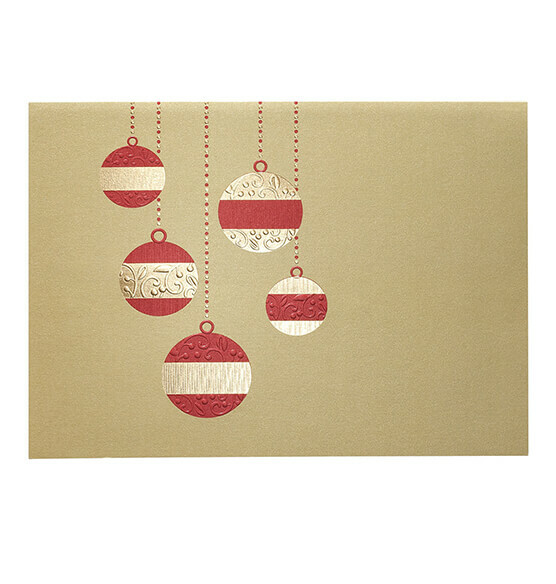 Patterned red ornaments adorned with embossed gold foil cascade against the golden background. Our exclusive holiday cards are the perfect way to stay in touch and share special moments with family and friends during the holiday season. how add personalization to a card? BEST ANSWER: Thank you for your question. This item cannot be personalized. We hope this information will be of help to you.